My husband and I often do not agree about what we should watch on television. I’m more of a Grey’s Anatomy kind of girl and well, we might just as well just have Sports Center as our only channel as far as he’s concerned. The one show we can agree on is Hell’s Kitchen. I absolutely love Gordon Ramsey and he recently celebrated 2000 likes on Facebook so we thought we’d celebrate with our own take on one of his signatures dishes, Beef Wellington. Start out by seasoning each fillet mignon with garlic powder, basil, salt and pepper. Sear each side of the fillet in well heated olive oil in a frying pan for only about 25 seconds on each side. You want a slight coloring to it. 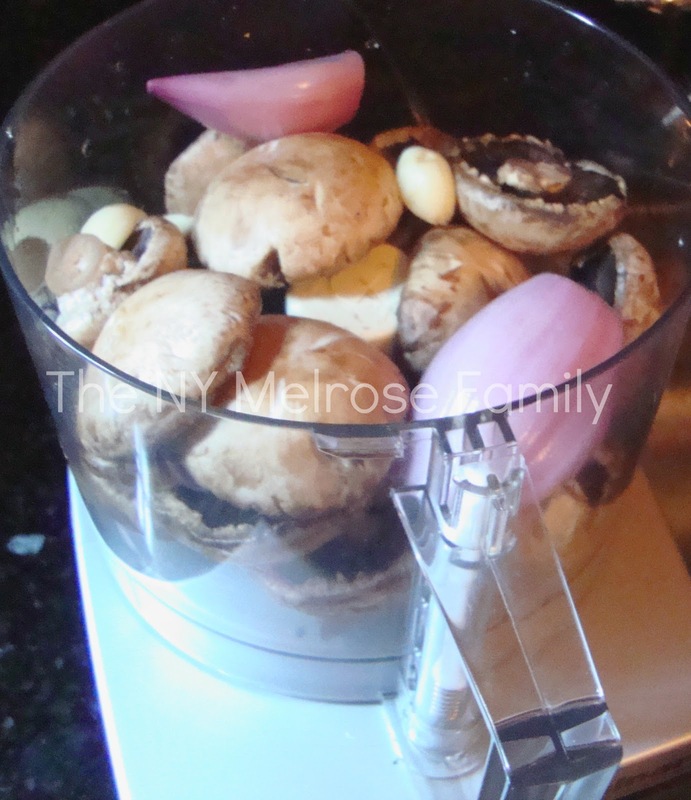 While the fillet cools, place mushrooms, shallots, garlic, thyme, salt and pepper into a food processor to create a rough paste. Place the paste into the same pan that the fillet came out of and cook off the moisture in the paste from the mushrooms. You’ll need to cook the paste on high for 10-15 minutes. Once the paste is moisture free, remove from heat. Set the oven for 400 degrees Fahrenheit. Brush the fillet with the mustard. 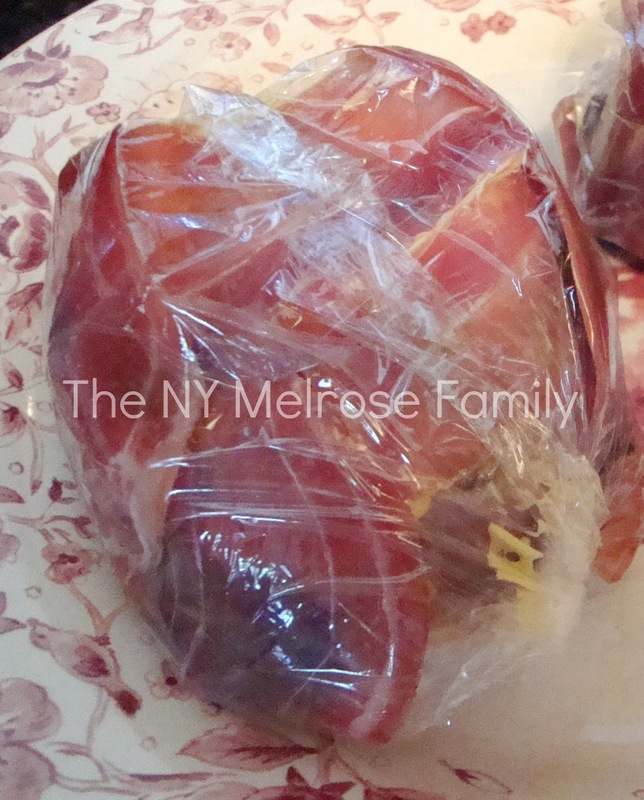 Place cling wrap on the counter and lay the prosciutto slices on it. 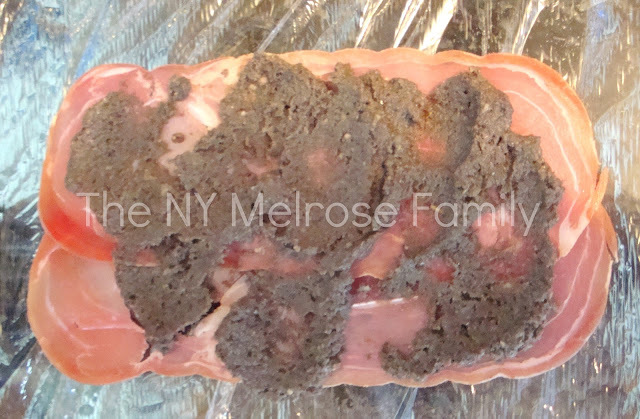 Spread the mushroom paste on top of the prosciutto slices. Place the fillet in the center of the cling wrap. Spread more mushroom paste on top of the fillet and place prosciutto on top. Finally, wrap the cling wrap around the fillet. Chill the fillet for 15 minutes to allow it to set. 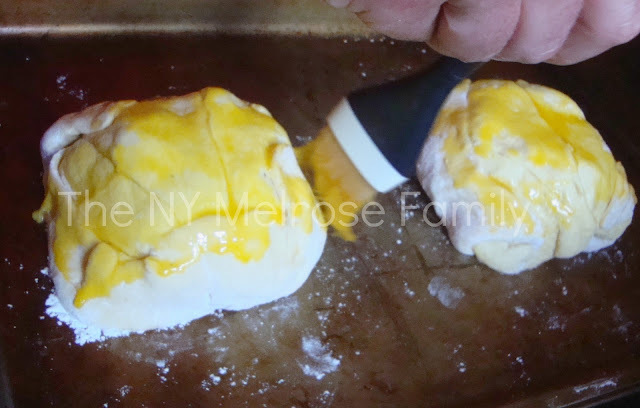 Meanwhile, lay out the puff pastry on a floured surface and brush with egg yolks. 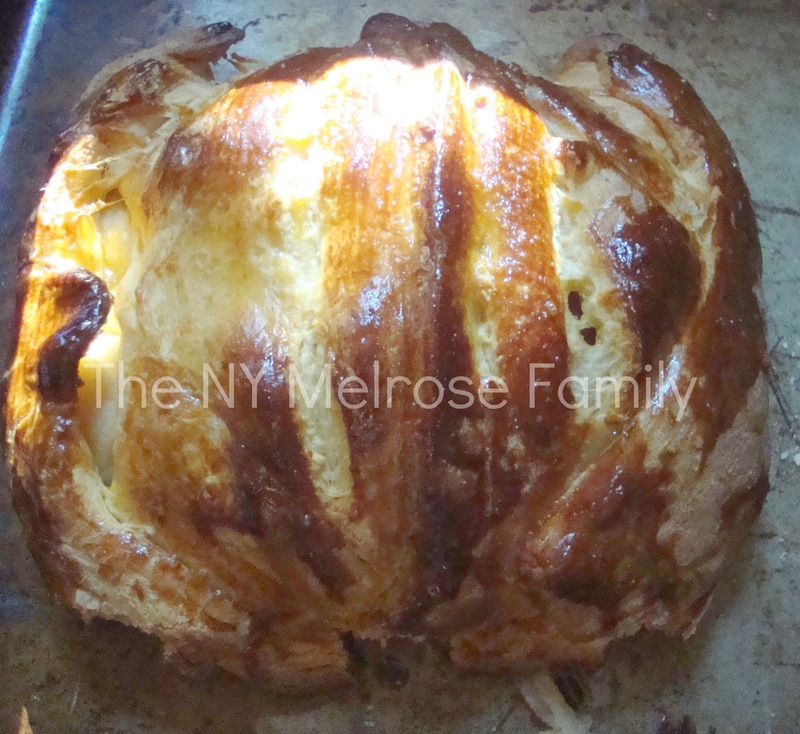 Remove the fillet from the cling wrap and place it in the center of the pastry. Wrap the fillet with the puff pastry. Turn over the pastry and place the seam down on a baking sheet. Brush the outside of the pastry with the egg yolk. Lightly score the top of the pastry. Bake for 20 minutes at 400 and then reduce the heat to 350 for the last 10 minutes. Let the fillet rest for 10 minutes before serving. Slice and plate. We paired the beef wellington with corn on the cob and baked potato. Wow! I can’t believe you tried this! Nice job. We agree on that show too… And can’t wait for his new hotel show! Found you via Liv.laugh.rowe and am so glad I did! Now I know how valuable a featured sponsor button is. 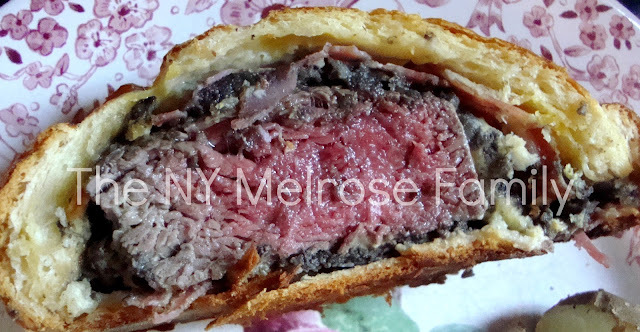 LOL I’ve always been scared of trying the beef wellington but I think I might have to make this on Sunday. You’ve inspired me. Hope to see you over in my little world. Thanks so much for linking up to my instagram party!!! 🙂 Hope you have a great weekend! Great job! I’m too intimidated to cook something that fancy. Plus the hubs does all of our cooking since he doesn’t like mine…LOL Thanks for linking up to the Pomp Party! Pinning! 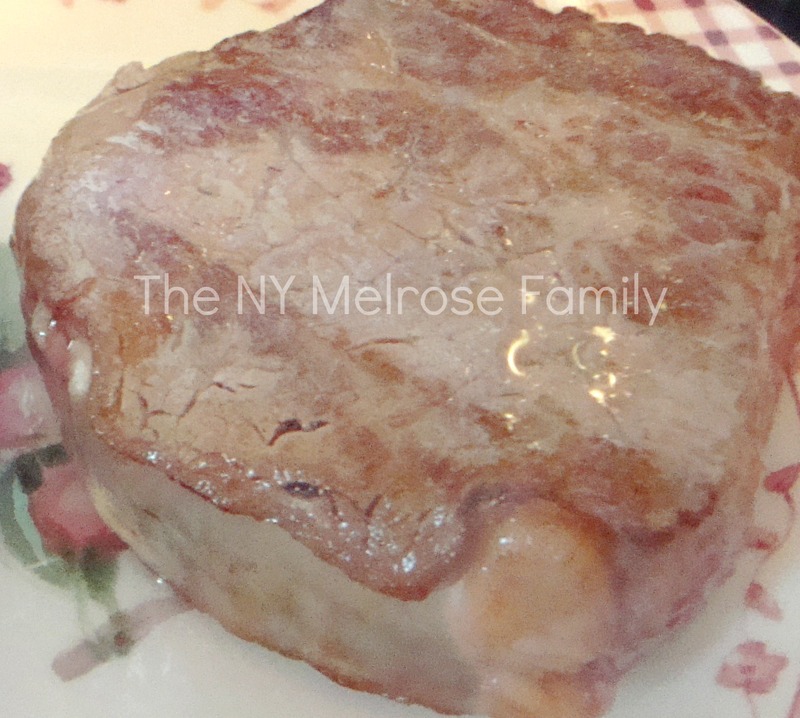 I never would have thought of prosciutto looks so yummy thanks for linking up at my first link party! 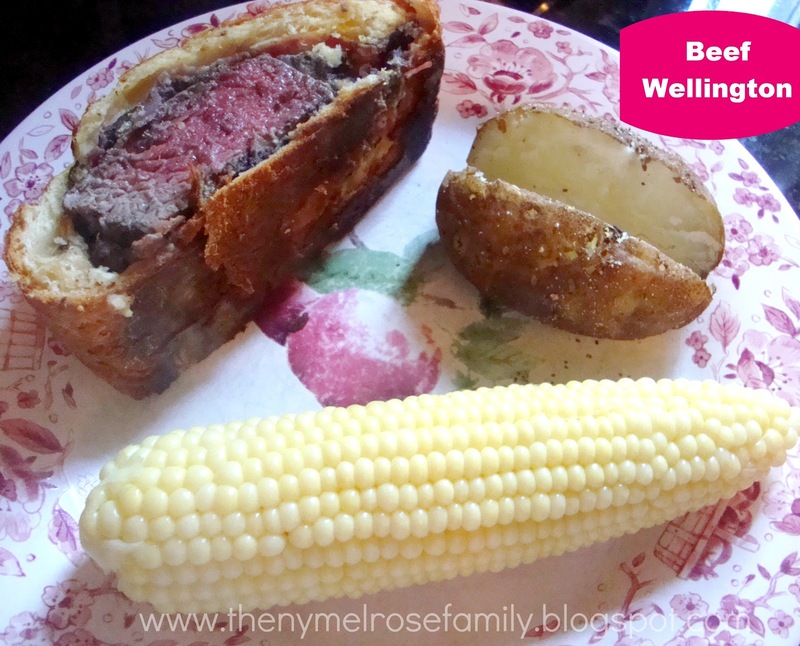 i love a good food challenge- beef wellington is definitely one! thank you for sharing, i cant wait to try it myself! Oh yummy! This beef Wellington looks awesome and I am soon going to make your recipe, I love beef every so often. Thanks for your great recipe and I hope you come over and visit me too. Have a great week. Ooh! This is seriously making my mouth water!!! YUM! Pinned! Oh YUM!!! This looks amazing! I will definitely give this a try! And I totally feel you on the television shows- you guys match my hubby and I to a “T”! We may just have to give Hell’s Kitchen a try! 😉 Have a great night! As I sit watching MasterChef, I’m drooling over your beef wellington. Thanks for sharing on the All Star Block Party. I’ve never had beef wellington. It looks yummy! Thanks for sharing at the All Star Block Party. I just want to tell you that I’m all new to blogging and really liked your web-site. Almost certainly I’m likely to bookmark your blog . You really have terrific posts. Kudos for revealing your web-site. This looks like a great one! Thanks so much for sharing with us this week! I’m not sure if I could pull this one of, but it looks amazing! I just want to mention I’m newbie to weblog and seriously enjoyed you’re blog. Probably I’m likely to bookmark your site . You surely come with very good stories. Thanks for revealing your website.